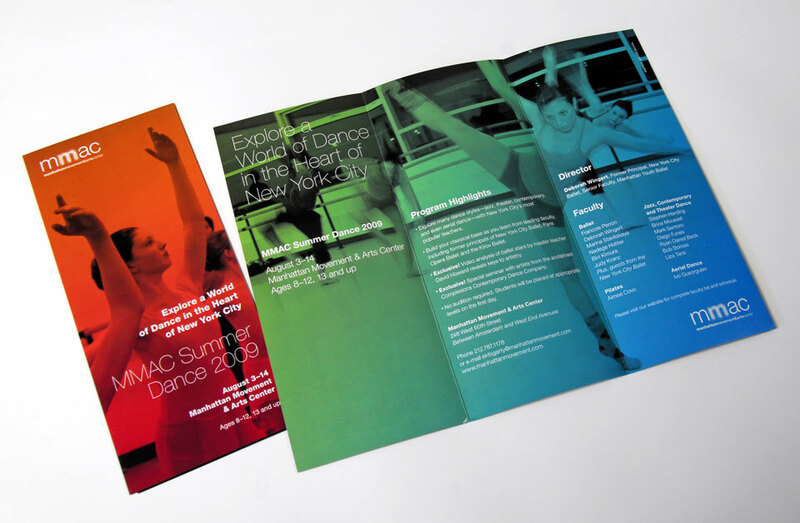 Various collateral, ads and promotional materials and website for a state-of-the-art dance studio and theater complex. 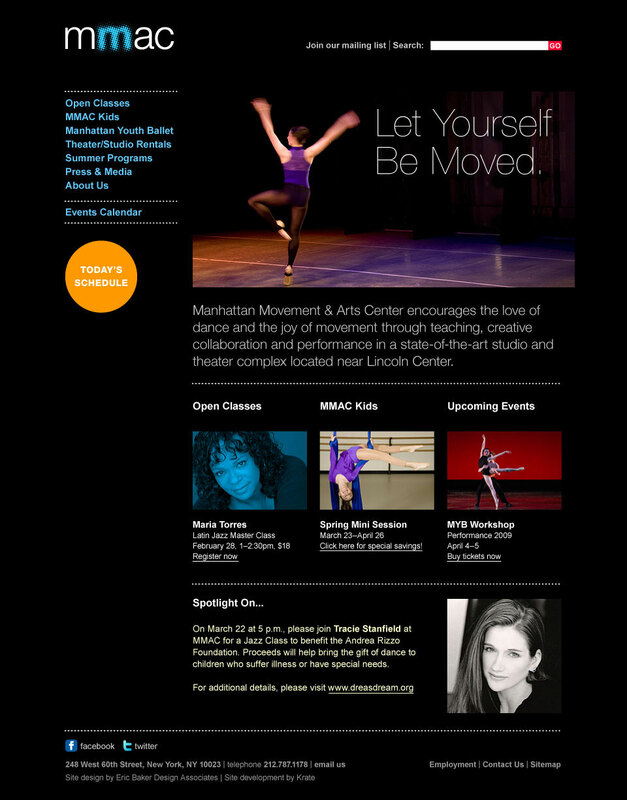 Manhattan Movement & Arts Center (MMAC) is a state-of-the-art dance studio and theater complex located near Lincoln Center. Their existing identity was overly complicated and their marketing materials were a jumble of different styles and directions. 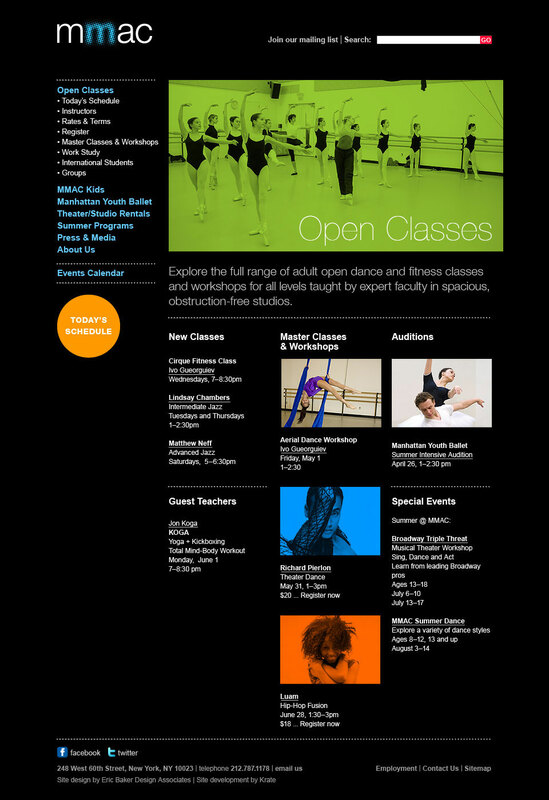 The website, their primary marketing tool, was difficult to navigate and find information easily. 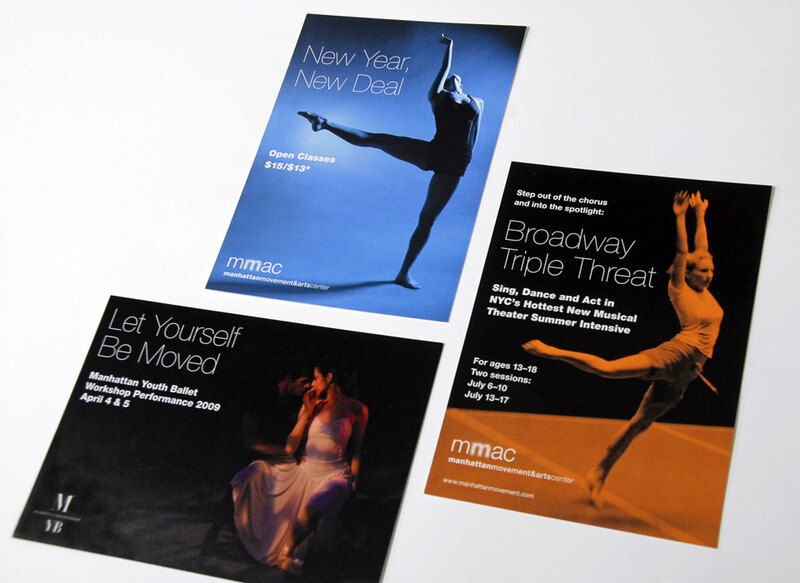 We were asked to completely redesign the entire MMAC identity and to integrate all of their advertising, marketing and branding into a cohesive system. Their logo was simplified and designed to give a sense of movement. 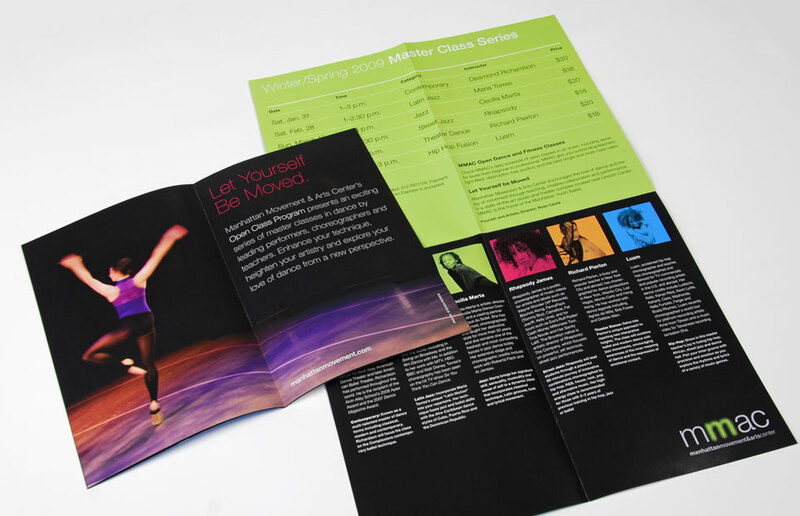 A single typeface was implemented in all of their marketing materials, both print and web, allowing more attention to be paid to their dynamic library of images. The MMAC website was rebuilt from scratch to not only be more interesting to look at, but to make finding any information clearer and easier. 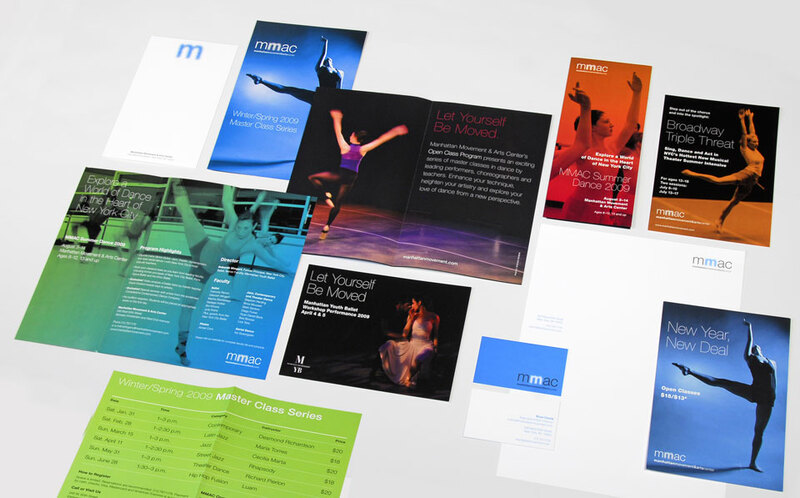 Since introducing MMAC’s new identity and marketing, membership and class enrollment have dramatically expanded and their brand equity & awareness has noteably increased. 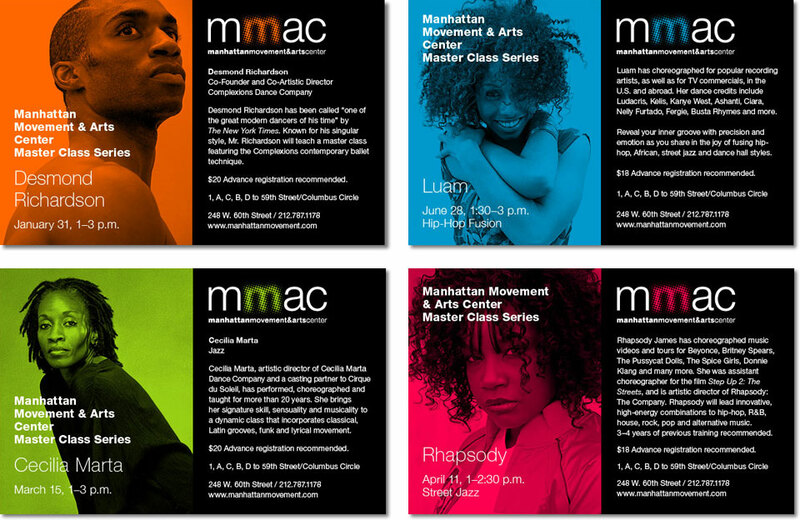 As a result, MMAC has gotten much favorable press and are establishing themselves as a major force in the world of New York’s performing arts.